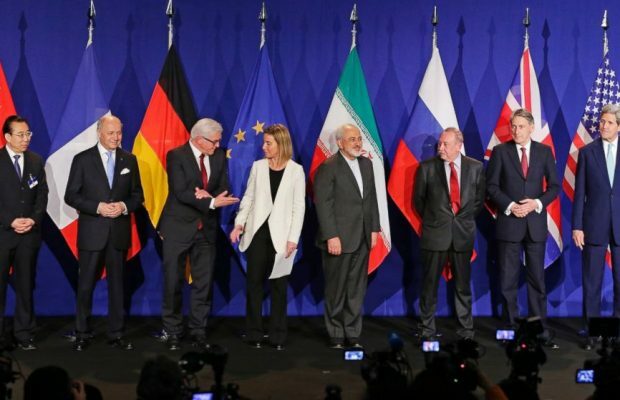 “The nuclear deal was the culmination of 13 years of diplomacy and was a major step toward ensuring that Iran’s nuclear (program) is not diverted for military purposes,” they said. The leaders did not directly comment on Trump’s decision but said they “are concerned by the possible implications” of it. 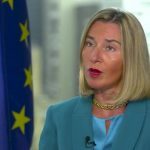 Federica Mogherini, the European Union’s foreign policy chief, also voiced strong EU support for the deal and dismissed the idea that any single party could end it. “It is not a bilateral agreement, it does not belong to any single country, and it is not up to any single country to terminate it,” she said. Announcing his move, Trump cited “multiple violations of the agreement.” However, the International Atomic Energy Agency, American allies and the US government all have said Tehran is complying with the official pact. May, Merkel and Macron reiterated in their declaration that Iran had not been found in breach of the deal, known as the Joint Comprehensive Plan of Action, and that it had been unanimously endorsed by the UN Security Council. 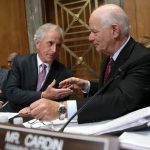 “Therefore, we encourage the US Administration and Congress to consider the implications to the security of the US and its allies before taking any steps that might undermine the JCPoA, such as re-imposing sanctions on Iran lifted under the agreement,” they said. Both May and Macron had spoken with Trump in the days before his announcement to urge him to maintain his country’s commitment to the deal, which the United States, Britain, France, Germany, Russia, China, the EU and Iran signed in 2015. Trump’s announcement means Congress now has 60 days to decide whether to reimpose sanctions against Iran, a move that could leave the United States in violation of the agreement. In the meantime, Trump said the United States would get tough on aspects of Iran’s behavior that are not covered in the pact, which limits Iran’s nuclear program in return for an easing of international sanctions. While EU leaders voiced their backing for the Iran deal, Israeli Prime Minister Benjamin Netanyahu praised Trump for his “courageous decision” not to recertify the deal. 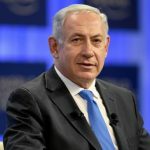 “If the Iran deal is left unchanged, one thing is absolutely certain: In a few years’ time, the world’s foremost terrorist regime will have an arsenal of nuclear weapons, and that’s a tremendous danger for our collective future,” Netanyahu said in a video posted on his YouTube account. Saudi Arabia also praised Trump’s “resolute strategy” toward “Iran and its aggressive approach,” according to a statement published by the state-run Saudi Press Agency. 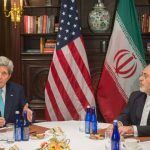 The kingdom had previously supported the Iran agreement in the belief that it was necessary to prevent nuclear proliferation, the agency said. Iranian President Hassan Rouhani made a live address soon after Trump spoke, saying that the US President could not decide the fate of the deal on his own. “This is an international, multilateral deal that has been ratified by the UN Security Council. It is a UN document. Is it possible for a President to unilaterally decertify this deal? Apparently, he’s not in the know,” he said. Hours before Trump’s announcement, some in Iran were predicting what would happen and castigating the United States as an untrustworthy partner. “From the start of the nuclear deal we knew that Obama was lying and that he wasn’t our friend,” Ayatollah Mohammad Ali Movahedi Kermani, a well-known hard-liner, told crowds gathered for Friday prayers at Tehran University. CNN’s Tamara Qiblawi, Shirzad Bozorgmehr, Oren Liebermann, Amir Tal and Hande Atay Alam contributed to this report.